Nothing speaks more highly for a commentary than how valuable it is to pastors and scholars, students, and interested readers. 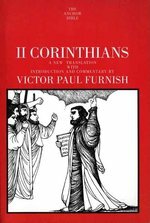 By all accounts, Victor Paul Furnish's commentary on II Corinthians has become the standard by which others are judged. It is praised as "a quite superb commentary . . . everything that a good commentary should be" (Expository Times), "by any standard . . . an excellent volume" (Interpretation), and "perhaps the definitive commentary on the letter in English" (Journal of the Evangelical Theological Society). In addition, Furnish has "accomplished a difficult task with remarkable skill and apparent ease" (Biblical Theology Bulletin), and has given us "one of [the Anchor Bible's] finest studies" (Catholic Biblical Quarterly). 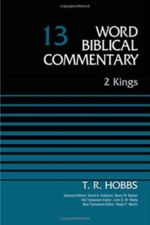 In the internationally renowned tradition of the Anchor Bible series, this commentary is an excellent and indispensable tool for biblical study. 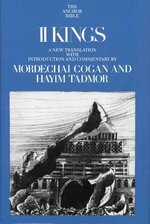 Scholars rarely posses both the gift of academic excellence and the ability to communicate their expertise in an extremely readable fashion; but Furnish succeeds admirably with the right balance of scholarship and practical application, offered in the most accessible prose. With a mastery of primary languages and sources, and a lucid discussion of the first-century context of Paul's second letter to the Corinthians, the reader enters the worldview of the original recipients of this hard-hitting letter. In the end, Furnish successfully navigates the maze of difficulties faced by the commentator and, thankfully, helps the general audience understand what II Corinthians says and means. 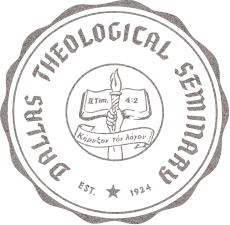 Though few church squabbles today come close to matching the intensity and seriousness of what Paul faced in the commercial and hedonistic hotbed of Corinth, his strategies and pastoral wisdom in confronting the problems there can still serve as a helpful model for us in responding to a culture marked by individualism and materialism.In this careful study of 2 Corinthians, readers will find an introduction that discusses the letter's occasion and purpose, authorship, and other background information, as well as its important theological themes. Passage-by-passage commentary follows that seeks to explain what the letter means for us today as well as what it meant for its original hearers. Students, pastors, Bible teachers and everyone who wants to understand Paul's message for the church will benefit from this excellent resource. This excellent commentary on 2 Corinthians by Paul Barnett illumines the historical background of the church at Corinth and clarifies the meaning of Paul's passionate letter both for those first-century Christians and for the church today. Assuming the unity of the letter, for which extensive argument is offered, Barnett takes the view that Paul is, in particular, addressing the issue of triumphalism in Corinth. This triumphalism is expressed by the newly arrived missioners who portray Paul as "inferior" to themselves; it is also endemic among the Corinthians. According to Barnett, the recurring theme of the letter is "power-in-weakness, " based on the motif of the Resurrection of the Crucified, which lies at the heart of the gospel of Christ. Also fundamental to the letter is the theme of fulfillment of the "promises of God" by Christ and the Spirit under the New Covenant. Written for scholars, pastors, and lay readers alike, this new commentary on 2 Corinthians will be a lasting reference work for those interested in this important section of Scripture. The question that Paul set before the ancient church in Corinth -- Do you not recognize that Jesus Christ is in and among you? (2 Cor 13:5) -- remains a critical question for the church today. This commentary by Mark Seifrid seeks to hear Paul's message afresh and communicate it to our time. Seifrid offers a unified reading of 2 Corinthians, which has often been regarded as a composite of excerpts and fragments. He argues that Paul's message is directed at the -practical atheism- of the Corinthian church -- the hidden heresy that assumes God's saving work in the world may be measured by outward standards of success and achievement. Paul's long, complicated history with the Corinthian church culminates in this ardent defense of Christian ministry in general and of his own ministry in particular. In this revised edition, Colin Kruse updates and expands his insightful analysis that illuminates Paul's contrast of the old and new covenants and his eloquent exposition of the ministry of reconciliation. He also charts a clear, plausible course through the maze of the literary history of Paul's correspondence with the Corinthian Christians. The Tyndale New Testament Commentaries have long been a trusted resource for Bible study. Written by some of the world's most distinguished evangelical scholars, these twenty volumes offer clear, reliable and relevant explanations of every book in the New Testament. These Tyndale volumes are designed to help readers understand what the Bible actually says and what it means. The introduction to each volume gives a concise but thorough description of the authorship, date and historical background of the biblical book under consideration. The commentary itself examines the text section by section, drawing out its main themes. It also comments on individual verses and deals with problems of interpretation. The aim throughout is to get at the true meaning of the Bible and to make its message plain to readers today. Writing on the second of Paul's two letters to the Corinthians to be included in the New Testament (in the EP Study Commentary series), Peter Naylor shows how the apostle tells of strength in weakness, comfort in distress, provision in need, fellowship in loneliness, certainty in doubt, guidance in perplexity, protection in peril and hope for the future. This volume deals with chapters 1-7. Above all, it tells of the surpassing love of Jesus Christ: if Paul the apostle loved and cared for the troublesome Corinthian church as intensely as he did, he no more than reflected, albeit dimly, the grace of God to his believing people. Joy in the Lord and in his people, pastoral tenderness, righteous anger, self-vindication in the interests of the ministry, profound theology and concern for harmony, both at home and with churches elsewhere, all vie for expression. Each strand interweaves with the others. This volume covers the first seven chapters of the epistle, in which an introduction is followed by a review of Paul's labours for the church up to the time of writing, with special emphasis placed upon the excellence of the ministry of the new covenant. II Kings (Volume 11 in the acclaimed Anchor Bible) is the chronicle of the raging conflicts that tore the United Kingdom of Israel apart, creating the rival nations of Israel to the north and Judah to the south. It tells of the time of the great prophecies of Elijah and Elisha, and of the legendary conquerors of not only the Jews, but the whole of the Middle East--Sennacherib, Hazael, Tiglath-pileser III, Nebuchadnezzar, and Shalmaneser. The book of II Kings was written with a dual purpose. It provided a chronological history of the divided kingdoms of Israel, from the time of division, through the destruction of the city of Jerusalem, and the final exile of the Jews into Babylonia. It also served as a reminder to all Israelite monarchs that their loyalty to the God of Israel, as worshipped in Jerusalem, determined the course of history. In his telling of the story, the book's author emphasized to his contemporaries and future generations that in order to avert the calamities that befell the Chosen People (their conquest by nonbelievers, the destruction of Jerusalem, and their ignominious exile), they would have to avoid a repetition of the misdeeds of the past. If they remained loyal to their God, their God would remain loyal to them. Written between 561 BC and 538 BC, 2nd Kings gives us a warning about the consequences of sin, especially the catastrophic repercussions of Israel's love affair with idolatry.